Frizz is no one’s friend! 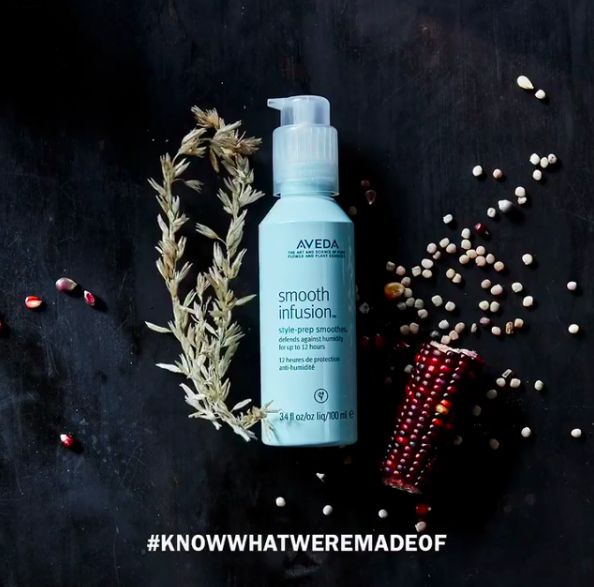 Defend your hair against humidity for up to 12 hours with Smooth Infusion Style-Prep Smoother, a bestselling must-have for anyone who likes to wear their hair smooth, sleek and straight. Curious about this product, which features a blend of organic aloe, maize and guar bean? We’ll give you the lowdown on how to use it. Think of Style-Prep Smoother as, well, a prep product! It should be the first step in your styling routine after you’ve washed, conditioned and towel-dried your hair. Apply a few pumps of Style-Prep Smoother to your hands and work through wet hair; you don’t need to use a lot to get the results you want. Make sure you’ve worked the product through your hair, then style as usual. 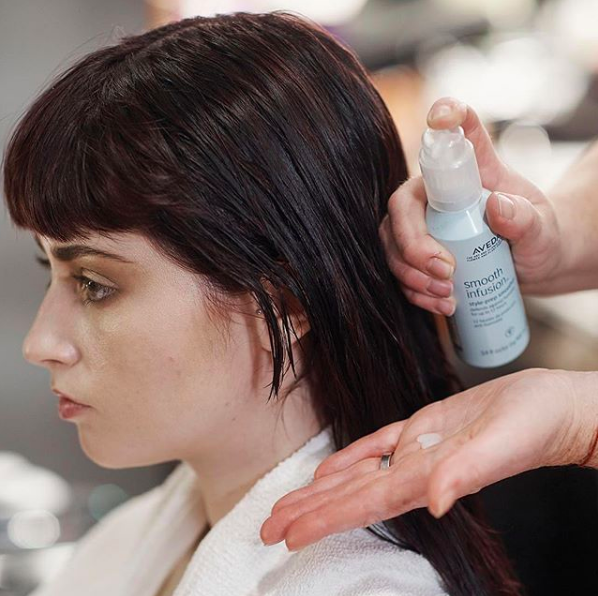 Smooth Infusion Style-Prep Smoother helps make your straight styling easier, and who doesn’t love that? We like to pair it with its family members, Smooth Infusion Glossing Straightener or Naturally Straight. If you often style your hair straight, opt for Naturally Straight, which actually progressively straightens curls so hair becomes straighter with every use. If you’d rather air dry your hair, pair Style-Prep Smoother with Smooth Infusion Nourishing Styling Crème, which will keep hair frizz-free even in humid conditions. Hello, perfect summer product! A dime-sized dollop goes a long way! Visit your nearest Aveda Institute Canada location to choose your FREE Aveda Summer Eseential when you purchase 3 full-size products. (up to $38 value). *Valid until September 3rd, 2018.